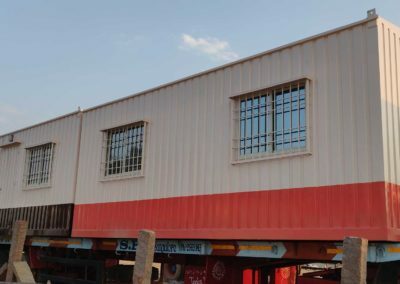 Saman Portable is a leading manufacturer of prefabricated bunkhouses made from high-quality ACP materials with the combination of modern technology. 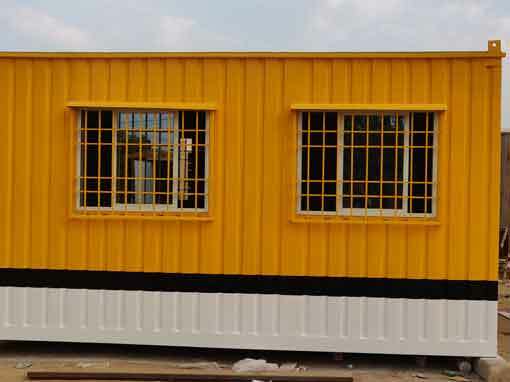 We offer a wide range of bunkhouse layouts such as Portable Bunk House, Container Bunk House, Industrial Bunk House etc. Our portable bunkhouses facilitate a platform providing sleeping space and personal storage for a large number of workers. Our easy to assemble are modified to fit any size of the workforce. Light-weight and easy to transport, all our bunkhouses fits perfectly in all locations and extremely durable to withstand any climatic conditions. All you have to do is contact us and provide a few details. Our team will tell you the exact requirement and set the best deal you will ever find anywhere else. Since our inception, we have strived to keep up with the industry standard and manufacture impeccable quality bunkhouses for our large customer base across the country. To keep us ahead in the field, we have embraced our products in compliant with International safety standard and make them available to our clients within a short duration without comprising in quality. Our prefabricated structures go hand in hand with the current demand of the industry and clients. We have a set of professional modular designers who work relentlessly by taking your idea and transforming them in the best way possible. Infrastructure design plays a significant role in a company. With an increasing number of utilities and modern equipment, you need a house that can accommodate all the necessary technical requirements. Whether you want to install a TV, build a closet or set a portable toilet, you require the skill of a perfect designer who can plan the structure and build a customizable bunkhouse. 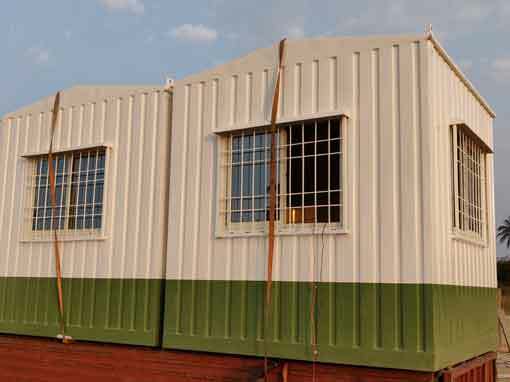 At Saman Portable we provide a bunkhouse that stands out from a regular modular structure. All our modular bunkhouses come with lavish wooden finish, that makes it distinctive from regular portable structures. Our bunk beds and bunkhouses include a wide range of modification features to offer maximum comfortability to your employees. Bunkhouses not only represents a place to sleep but it also serves as a temporary home for your employees. Each time spends at the modular house adds up to a lot of memories, which often reflects in the work of your employees. In other words, keeping your workers happy, can allow you to gain more dedication from their behalf. You can modify our bunkhouses as per your requirement. Just mention the size of the plot and the number of the workforce working under you. 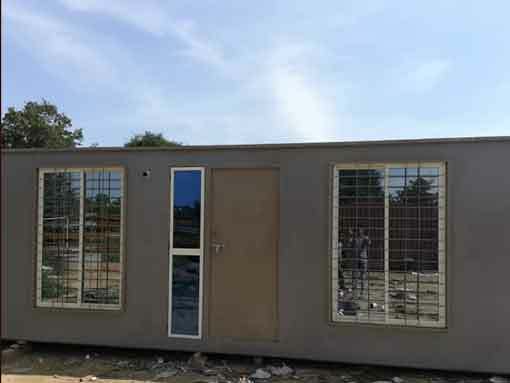 We will manufacture an easy to install bunkhouse that includes ample of space and in-house facilities for your workers. You can order a ground-floored bunkhouse or a multi-floored bunkhouse. No one like to see a vacant home when they come after a long day at work. When you provide a stay for your workers, it should make them feel like home where they could reach for essential amenities whenever they want. 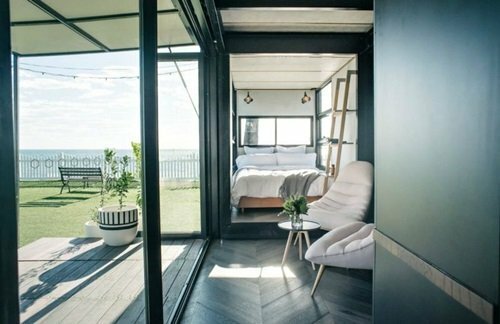 We at Saman Portable consider the matter and customise your portable houses in layouts which allows you to install all the furniture and equipment as similar as a traditional structure. You can extend your bunkhouses with more spaces, add a couch, a chair, a dining table etc. When we think about home, we think about a place where we can enjoy full privacy. We offer secured and durable bunkhouse with private rooms and en-suite bathroom facilities. Although we provide separate porta toilets, you can also ask us to install an en-suite bathroom inside each room. We can also fit an individual changing room, closet, cabinet and a safe, to give more sense of privacy. Made from pure ACP materials, our bunkhouses are noiseless and provides the same ergonomics as a traditional house. With our modular bunkhouses, your workers will enjoy the similar privacy which they used to enjoy at their home. We let you design a unique bunk bed that includes a wide range of permanent and temporary structures. Our portable bunkbeds are easily transferable from one place to another. As you can easily dismantle them in a smaller portion, they don’t cover much room during transportation. At Saman Portable we offer highly excellent designs that include pre-installed bathrooms, bunk beds, toilets, and other equipment. You can select between the permanent structure vs temporary elements. In temporary options, we create pre-engineered structures that are easy to detach and use separately. For example, you can install a permanent version of our porta toilet inside the, or you can create a separate bathroom and use it outside the bunkhouse. Are you looking for customised bunkhouses for hassle-free accommodation for your employees? Then wait no more and check out our various layout of bunkhouses which offers comfortability, safety, design and convenience at an affordable price. Get the best deal of your life at Saman Portable. Give us a call or visit our store, explain to us about your requirement and get a price quote instantly. 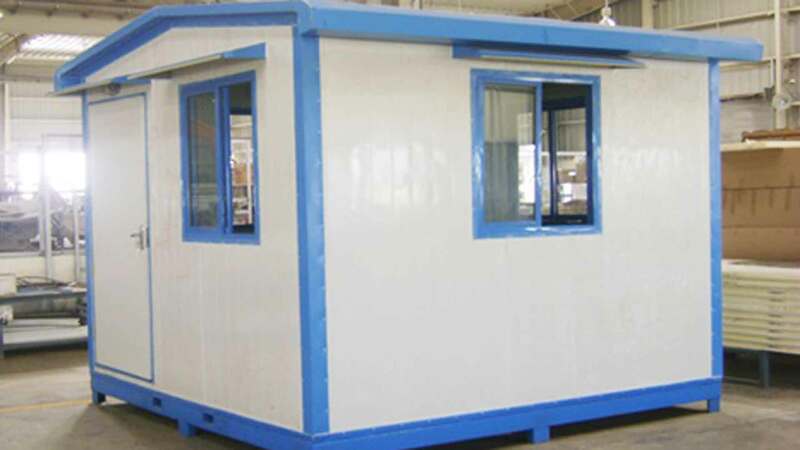 We are a legal manufacturer and supplier of ACP Bunkhouse in India. Feel free to call us if you need more information. Being at the forefront among top pre-engineered infrastructure builder, we use eco-friendly and highly durable ACP materials. Create your dream bunkhouse with just a matter of a few days rather than wasting months. We offer bulk manufacturing for residential and commercial purposes: no hidden charges or any additional costs. Order up front and get it customised manufactured within a short duration.